WHY YOUR SUPPORT IS WORTH A LOT! Do you also think about the effects of interfaces, selfies and surveillance on society? And do you like the way that this was depicted in the trailer? Then I hope you are also curious to see this film finished. 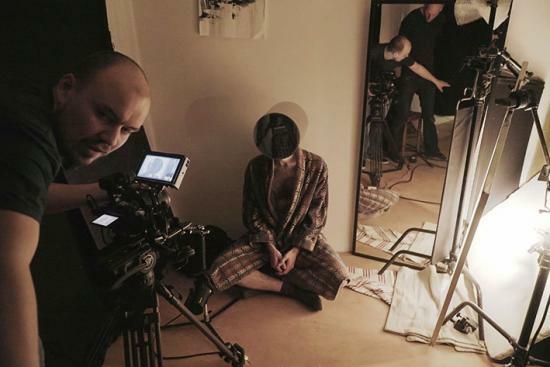 We can only film the last scenes and add the visual effects and the sound with you help! With your help the layers that are necessary to complete the movie can be added! If you cannot donate yourself but like the project, then it also really helps if you send the link of this website to people in your network, who you think could help with a donation. Share it on Facebook and show your friends the teaser! When the target of this campaign is reached, Dutch broadcaster VPRO Dorst will also invest in this film. So every donation counts double! 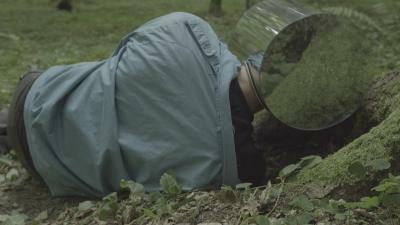 INTERFACE is selected for ‘De Ontmoeting’, an initiative of VERS and Cinecrowd, that gives unconventional storytellers a chance within the Dutch film world. 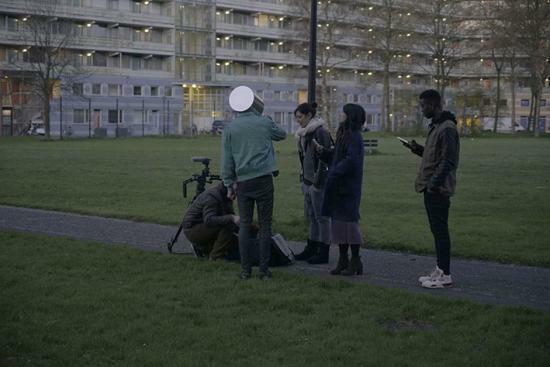 If this campaign is succesful and INTERFACE can be realized, it will immediately have a good platform: The film will pre-premiere at VERS, along with the four other films made within ‘De Ontmoeting’. It also has a chance to participate in the Dutch Film Festival. Distributor Some Shorts supports the international festival distribution. Afterwards VPRO Dorst aims to broadcast the film on Dutch national TV and it will eventually be available on online channels. The future doesn’t look much different from today in INTERFACE, but every face is locked behind a reflective mask; a one-way mirror that allows you to look out, but no one can look in to see your face. If you look at each other, you drown in an infinite empty reflection of a reflection. Nobody has ever seen a face and cameras have replaced the human eye. A young man becomes so alienated from his body that he tries to break his mask. When it turns out to be indestructible, he runs from the city and from society, afraid of the cameras that have recorded his destructive act and that are always following him. He ends up in deserted forests. When he wakes up at night, the layering of his perception becomes more and more confusing. The images that are projected on the inside of his mask, the screen of his phone, his eyes, which layer can he trust? The outside world, virtual reality and his fantasy mix up completely. Eventually it turns out that even in these abandoned forests he’s still being tracked by cameras. Will he be able to escape from the mask, from virtual reality and from the sight of the cameras..? WHAT IS ALREADY THERE AND WHAT STILL NEEDS TO BE DONE? Last year I designed a mask from Plexiglas and reflective foil through which you can look out, but that reflects any external gaze. That summer I travelled to Poland, to Europe's last primordial forests. There we filmed the first scenes of the film. This material is already shot. But there are still scenes missing that need to be shot in the city. 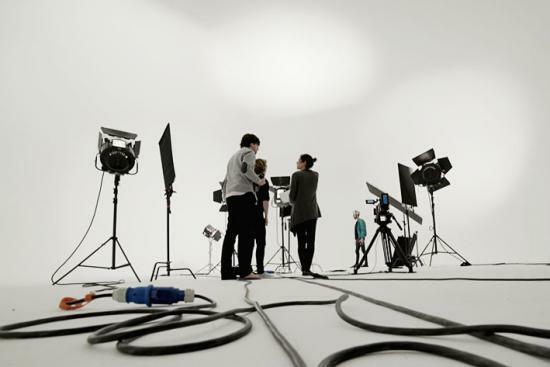 Another important missing part is the visual effects, 3D animation and sound effects. They are essential to make the experience inside the mask truly convincing. I want to make a film about how it affects us and our senses if we see everything through cameras and screens? What do we feel if the desire to kiss someone can never become reality? Like many people, I think about what it means to perceive the world through a screen so often. Where does the screen - or interface – through which we perceive the world start and where does it stop? Does this stop with our phone? With cameras recording and tracking movements? Or with chips in our brains that will enable augmented reality? Is our retina not also already a screen, an interface that filters what we see? 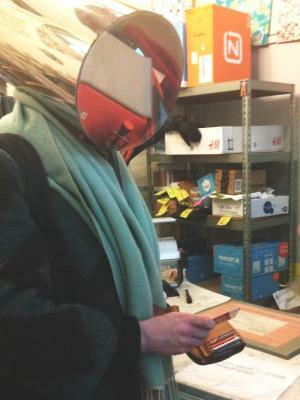 The mask is a symbol for the merging of our senses with technology. In 'Interface' I want to break up different layers of perception and re-fit together, so they cannot be separated from one another so easily anymore. The film shows a chilling enlargement of the effects of technology on our society. From the perspective of the protagonist, the viewer is confronted with the complex effects that screens, social media and surveillance have on our body and our identity. On the one hand technology gives us access to information on a scale that we could not imagine before. It allows us to express ourselves and to capture things that were previously only possible for professionals with expensive cameras. But this freedom has a price. Our dependence on it makes us vulnerable. As in the film, the power that registers our actions today is often invisible; hidden behind cameras and algorithms. Anna Hoetjes (1984, Amsterdam) got her Bachelor in Fine Arts at the Rietveld Academy in Amsterdam and went to the Cooper Union School of Arts in New York for a semester. Afterwards she traveled to Berlin and Leipzig where she lived and worked for a few years. She got her Master of Fine Arts at the Dutch Art Institute in Arnhem in 2012. 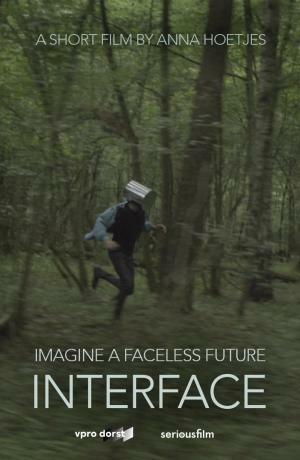 INTERFACE is Hoetjes' first fiction film. Previously she mostly made video art, performances and installations. Her work deals with the relationship between the media, the body and technology. In her audio-visual work, she looks for striking, unexpected images. She takes a poetic and experimental approach to look at the increasing stratification in our perception. She has exhibited her work in various places in the Netherlands, Germany, Latvia, the United States and Colombia. In addition to her art practice she worked as a production assistant for the former NIMk, the Impakt Festival and until recently for the collection of the EYE Film Museum in Amsterdam. 锘縱mate is one of the most large application genuinely utilized as a result of lots of people across the globe. which app creates complete home theater to our user at most predicament of a gamers whether on the saddest mood or the climate of total dejection. at a time the person may attain the peruse behind web connection to watch the video clip on the website in the yoga temper. here vmate app is additionally good view the vids not online set up user should not acquire the web link of an internet. as well as therefore, by means of this process practical application a person can possibly down load all the presentations even though using immediate access on mobile smartphone devoid of inconveniences. why members should to reach the access from the request is really because vmate is quite popular fully levied on behalf of transfering movie pictures, Songs in addition video clips probable for anyone to enjoy the lender with virtually no disorders other or just disruptions amongst. my application has favorable ease of downloading serious connected with almost limitless music videos and gives the achieve of 200 television for computer options to all the users free of charge of money. now you have an app conveniently true always on just operating system electronics where the game gives free use users available for looking through, reading but transfering caused by other sorts of 100鈥檚 of web sites because YouTube facebook itself. the maker from the request needs chosen this considering high def 鈥淔astest downloader of tutorials.鈥?accordingly the vmate APK currently tv for computer works out lastly exceptionally perfectly as well a clearer process. most probably, there are plenty of movie clips downloaders appropriate shopping around, however at the moment everything about is amazingly fervent to the present app the majority of due to the a piece of cake benefits. the idea app is totally excellent for sale that is accrued with plenty breathtaking of options specs and can't ever which spotted be almost every nowadays. consequently, into this approach you have the ability to quite simply opinion all most recent movement and video strategies on the android solution, IOS mobile phone <a href=https://www.vmate.com/>vmate</a> too as on their own personal computer. once and for all, former enables visit the stresses of these request, well before rolling improve with to eliminate grabbing. choices: sent to below are the ultimate things about this iphone app, take a look at these businesses plenty of one or more video clips readily available for download most attending the single case study devoid of perturbations. you typically is capable to positively save movies incurred with various kinds of platforms with them a user may want to adequately export instuction videos against YouTube, Vimeo so DailMotion using a simple engage with none affect a person may very well easily enough watches each currently tv series With the greatest high-definition a person can easily find all most up-to-date showmanship movies online truly is everything in one amusement app principally sent to to any or all customers. The most surprising ui is one of several positive point to draw a persons our instance is actually totally free of cost without being a single dime also fully an hosting your parties to all pc users without any subsequent headaches. vmate software package retrieve caused from vmate stow currently, vmate is one of <a href=https://www.vmate.com/>vmate</a> the best option software package the actual instructional videos getting it resulting in nil different outstanding is normally a lot of replacement up to now it. as long as could possibly help the owner is trying to find a superb software package intended for accessing, then you should not a single thing superior to such a vmate practical application, Do try out if you recommended offers and attain the downloads about this practical application the actual other hand secure devoid of of vmate APK uncertainties and luxuriate in to the full degree it is extremely as exempt from money. de afgelopen maand heeft Anna hard zitten monteren (onder andere afgezonderd in een kunstenaarsrecidency in Finland) en is daarbij geadviseerd door editor Tim Roza. Nu is er een picture-lock! Dat betekent dat de montage af is en er niets meer aan de lengte en volgorde van de beelden veranderd zal worden. We zijn ontzettend blij met het resultaat. Er is de afgelopen maand ook al een goed begin gemaakt met de visuele affecten door Robin Niekerk en nu het beeld op slot zit kan hij aan het precieze werk beginnen. Ook kan nu de muziek precies op het beeld gecomponeerd worden, de voice-over precies goed opgenomen worden en kan het geluidsontwerp gemaakt worden. Helemaal aan het eind zal de kleurcorrectie gebeuren. We verwachten dat de film half juli helemaal af zal zijn. De film is in de ruwe versie al opgestuurd naar een aantal festivals en zal de komende tijd naar nog meer festivals gestuurd worden. Dan zal duidelijk worden wanneer INTERFACE precies in première zal gaan, dat zal ergens na de zomer zijn. Hieronder alvast een heel klein voorproefje van het materiaal dat we met jouw steun hebben gedraaid en gemonteerd! Teaser INTERFACE from annahoetjes on Vimeo. This past month Anna has been editing a lot (being secluded in an artist residency in Finland) and was advised by editor Tim Roza in this process. Now there's a picture lock! That means that the length and order of the images cannot be changed anymore. We are very happy with the result. Robin Niekerk already made a good start with the visual effects in the past month, but now that we have an edit lock he can start the precision work. Also now the music can be composed exeactly for the images, the voice-over can be recored and timed exactly right, and the sound design will be made. All the way at the end the grading will be done. We expect that the film will be completely finished by mid-July. The rough cut has been sent to some film festivals already and will be sent in to more festivals in the coming month. Then it will become clear when the film will premiere exactly, some time after this summer. For now already a little preview of the material that we were able to shoot and edit with your support! De crew van INTERFACE heeft keihard doorgewerkt en weinig geslapen. Alle scenes van de film zijn nu gedraaid. We stonden in het koude ochtendgloren in de metro; van 's avonds laat tot diep in de ochtend in een flat; en een volle dag in een horizonloze studio. Al dat harde werk heeft geresulteerd in prachtige beelden! Nu begint het volgende traject, want de montage, geluid, muziek, visuele effecten en postproductie gaan het pas echt afmaken. // The crew of INTERFACE worked hard and slept little. All the scenes of the film are shot now. We stood in the subway at dawn; from the early evening until late in the morning in a flat; and spent a full day at a horizon-less studio. Voor nu een daverend applaus voor de crew, want wat zij hebben ongelofelijk veel toewijding, uithoudingsvermogen en enthousiasme getoond tijdens het draaien. Dankzij hen hebben we dit veelbelovende materiaal! Met dank aan: Gidus Hopmans voor de flat, Karl Griesriegl voor het opbouwen en Lukkien voor de studio. Dit had nooit gedraaid kunnen worden zonder de steun van alle donateurs en de steun van het AFK en Stichting Dommering Fonds. Dank jullie wel!! MADE POSSIBLE BY ALL THE SUPPORTERS! Na 31 dagen zijn we overweldigd door jullie enthousiasme, nieuwsgierigheid, steun en vertrouwen. Maarliefst 172 mensen hebben er keiharde euros voor overgehad om ervoor te zorgen dat INTERFACE gemaakt kan worden. Dit betekent niet alleen dat de film überhaupt gemaakt kan worden, maar ook dat we dit met extra motivatie zullen doen! De wetenschap dat zoveel mensen zich aangesproken voelen door het onderwerp van de film en de verbeelding zoals die in INTERFACE wordt gegeven, is heel bijzonder. De draaidagen zullen in de loop van april plaatsvinden en de postproductie zal in juni gaan gebeuren. De première zal in september zijn. Tussendoor zullen er updates geplaatst worden op deze pagina en op de Facebook pagina. Dank aan alle donateurs en tot in de bioscoopzaal! During these last 31 days we’ve been overwhelmed by your enthusiasm, curiosity, support and trust. No less than 172 people have spent their valuable euros in order for INTERFACE to be realized. This not only means that the film can be made at all, but also that we will do so with extra motivation! It’s very special to know that so many people are interested in the subject of the film and are intrigued by the visualization in INTERFACE. 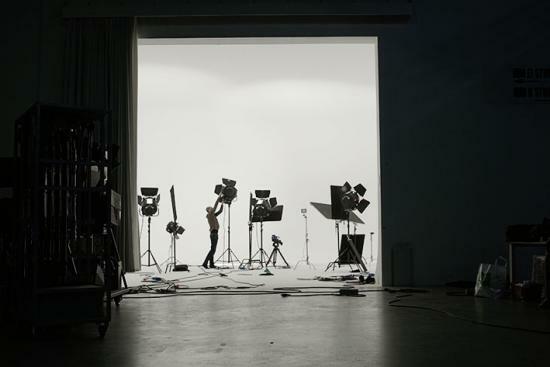 The shooting will take place throughout April and the postproduction will happen in June. The premiere will be in September. During this period there will be updates posted on this page and on the Facebook page. Thanks for all the support and see you in the cinema! Virtual reality, technologie, Nederlandse science fictie, vervreemding en het lichaam: INTERFACE blijkt een snaar te raken die bij veel mensen aanwezig is. 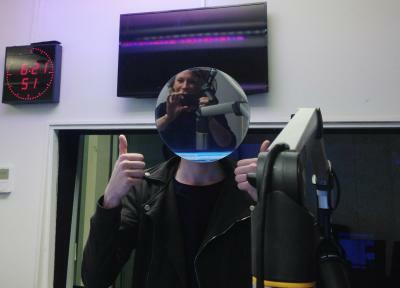 RADIO 1 - LEVEN IN VIRTUAL REALITY? Thanks! Your support means a lot! You receive a beautiful digital still from the film and your name will be mentioned on the website of the film. Yes! You get gifts that don't only exist in the digital world: a filmposter and a printed postcard with a still from the film. Your name will also be mentioned on the website. Fantastic! You receive an invitation to an exclusive peek into the making process of the film, which I will present at EYE Filmmuseum in Amsterdam. Are you abroad? The I'll sent you a custom-made animated GIF! + Of course you also receive a poster, postcard and your name will be mentioned on the website. For this amount of money I would like to give you a personal 'Interface' experience: An invite for 2 persons for an 'invisible' group walk - a tour through Amsterdam where we avoid surveillance camera's in public space. The tour starts in my studio in the attic of the historic 'West-Indian House' in the center of Amsterdam, the building where the Dutch sold New York to the English. + An invitation for exclusive presentation of the making proces in EYE + An encrypted link to the film so you can be the first to see it online. + Of course also the poster, postcard and your name on the website. + Are you abroad? Then I will map the surveillance camera's in your area and will send it to you digitally. Wow! For this amount I would like to give you something more permanent, a little artwork for on your wall. This is a UNIQUE small drawing from the storyboard in a little frame (ink on paper ± 8 x 5 cm) + I would also like to invite you for the official VERS premiere party of all the films that will be realized as part of 'de Ontmoeting', one of which is INTERFACE. You get a glass of sparkles on the afterparty! There will be several film makers, producers, sponsors and broadcasters at this event. + You are also entitled to all the previous rewards. + Your donation has a charitable status, which means you get tax benefits! + Are you abroad? Then I will invite you if INTERFACE will be screened on a festival near you! Thank you!!! This serious amount will get you a bigger artwork: a whole scene from the storyboard (6 unique drawings in a frame). + I would like to introduce you to the crew during a VIP dinner with the director, producer and actor, taking place before the official VERS premiere party of all the films that are part of 'De Ontmoeting'. There will be filmmakers, sponsors, producers and broadcasters at the afterparty. + Your (company)name on the credits of the film, that will be entered for international festivals and will probably be a pre-film in Ducth arthouse cinema's. + All previous rewards and tax benefits + Are you abroad? I invite you if the film runs at a festival near you and take you for a drink at the festival party! This large amount of money will get you a large artwork! A professionally printed photograph from the film in a limited edition (standard 80x50cm). A Custom photograph with the protagonist and your product is also possible. + I would like to invite you for a private visit in my studio, where I show you the making process of the mask, the filmediting and the visual effects. You can also try on the mask to feel what it is like to see everything through a screen. + Of course you are also entitled to all the previous rewards, like the storyboard drawings, your (company)name on the credits, VIP dinner and premiere. + Your donation gives you tax benefits! + Are you abroad? I send you the photograph and another limited edition print of mine! This is serious business! Next to the limited edition photograph and all the other rewards, I will come to your company/party to share my artistic expertise. This can take different shapes: 1. A photoshoot where I portray persons or products. The character of your company/party will be taken into account in the artistic translation. 2. A workshop where I explore the relationship between the body and technology with the participants. First we do some exercises to activate the body and then the participants will visualize both their biggest wishes and their biggest fears regarding technology. + Are you abroad? You get a long weekend for 6 pers. in our apartment in Amsterdam, which has a 5 star Airbnb rating! 172 supporters have contributed to this project!